At first glance Cole and Kendra Porter, the married couple behind Porter Union, are remarkably reminiscent of Johnny and June, Jessi and Waylon, even Porter and Dolly, or Loretta and Conway. As one of Country’s most genuine, talented contemporary duos, however, they do anything but merely fall in line behind the legends. The Porters met in what could only be a setting fit for a country song. Kendra, then a waitress at the local bar in their hometown of Republic, Missouri, and Cole, the singer/songwriter who played there on weekends, came together the better part of a decade ago. Cole wasn’t aware that Kendra was a singer/songwriter when they first met, but her talent ended up changing the trajectory of their lives forever. Now, as they live and write and work together, the Porters rely on one another’s unique musical gifts to create stunningly touching new music. “The first time we hung out, Kendra came over, and we sat down with the guitar and wrote “The Trailer Song,” Cole explained as the couple talked about their writing process together. “I had this idea for a song–kind of a funny look at marriage. I started it, and Cole helped me finish it. We ended up recording it down the road–but we started right off the bat writing together,” Kendra added as she reminisced about their earliest days as friends. 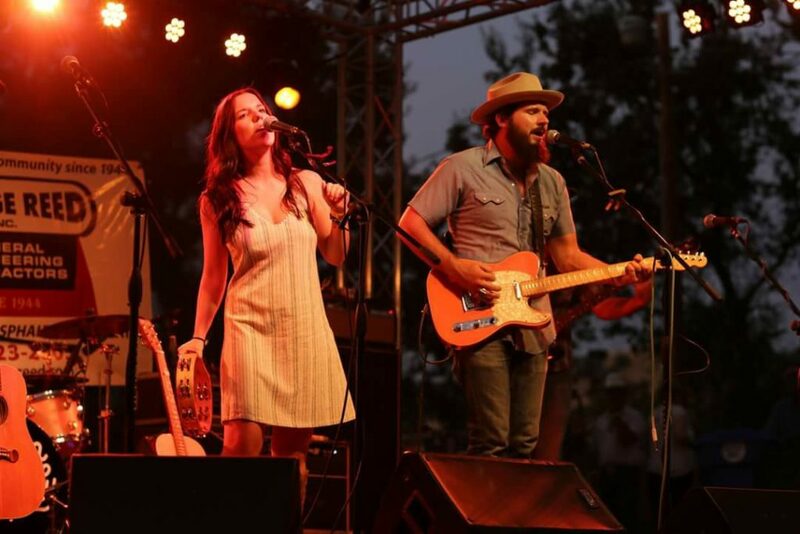 The band behind Cole and Kendra has been crucial to their success as they fully compose the songs they’ve written and tour the country together. The Porters elaborated on their band family, the differences between an acoustic set and a full band performance, and what they hope to accomplish with the guys who support them every day. “I think there are two incredible feelings you can get when you’re performing. One of these feelings comes from a very intimate crowd that is completely silent as you’re singing a song, and then there’s a crowd that goes crazy after the end of a full band show. They’re both a lot of fun to do. You can get the same amazing level of energy from a crowd that’s dead silent as you can from a crowd going wild. They’re different energies, but they hit your heart in similar ways,” Kendra mused as she compared the differences in performances. Seeing success across the country has not made Cole or Kendra forget how truly fun and inspiring this life they get to lead is. With both humor and humility the couple explained what it’s like to work alongside some of their biggest influences and, in some cases, call some of their heroes friends. “One of the really cool things of our career is that we’ve gotten to play with people we were fans of. You know- you get there with these people you looked at as heroes and you try to act like you’ve been in that situation before when it happens and not act like a total dork, but its hard sometimes! People say don’t ever meet your heroes because they’ll let you down. That’s not true; everyone we’ve met and looked up to has been so cool. It’s been a really nice experience, learning and knowing that there are genuinely good people in this business. You also get to a point where you get to play with your friends- it’s our absolute favorite. You don’t always get to see your friends who are musicians because you’re always going in a million different directions. When you do it’s like a big reunion. It’s such a blast; everyone is supportive and singing on stage together and having fun. Cole and Kendra are the epitome of humble, kind artists. Not only their music, but their attitudes are what draw fans in and will keep them by the couple’s side for years to come. From openly recognizing their heroes and their biggest support systems to referring to their fans as family, it is clear that the path to stardom for these two is paved from the hard work, love, and humility that built their foundations in small town Missouri. 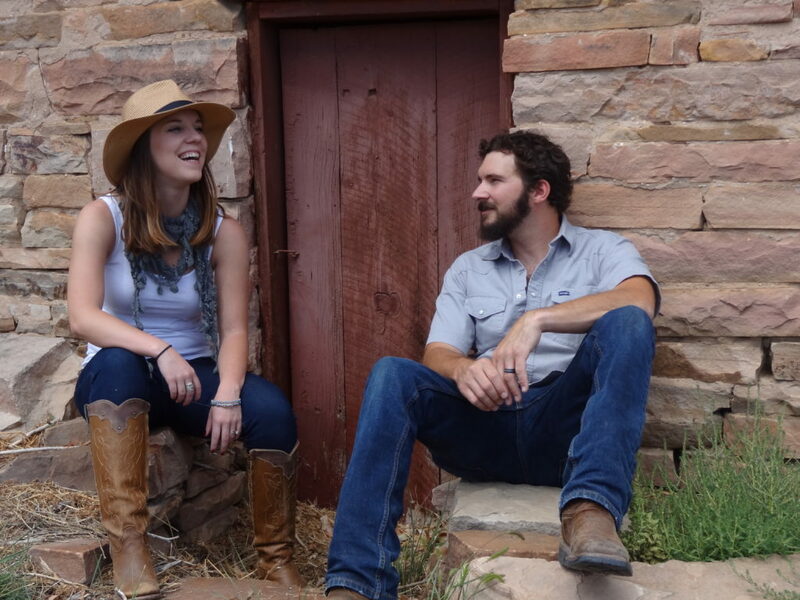 Their music, filled with gorgeous melodies and deeply personal lyrics, is the perfect other half to the equation; the Porters will no doubt go down in country music history as the next great duo. To see where Cole and Kendra Porter are up to after their tour, or to purchase tickets, check them out on Facebook, Instagram, and Twitter, and be sure to check out their debut album on Spotify and Apple Music.